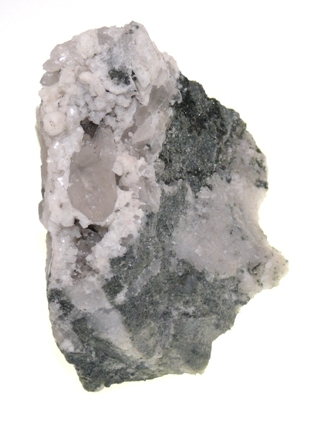 A relatively rare occurence of Albite with Quartz from Cornwall. Albite is a type of feldspar with a triclinic, white, brown, red, blue or colourless form. Key Healing Properties: Albite is a stone of mental clairty, assisting in finding order out of chaos. It calms the emotions by instilling an objective outlook and is used in the treatment of afflictions of the mental facilities, such as Alzheimer's, Parkinson's and brain damage.